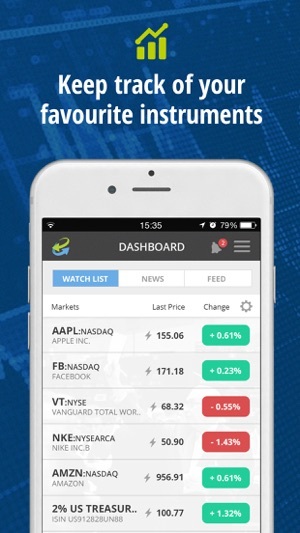 Manage your finances smartly with CCTrader, and trade Stocks, ETFs, Bonds and Funds on over 40 international stock exchanges. 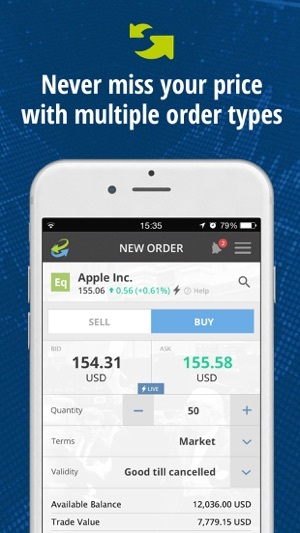 Available on Mobile, Tablet, Apple Watch and Desktop, access your trades from anywhere around the world! We are committed to providing a world class service. Our support team is available via messaging or phone. You can trade with your mind at rest when using CCTrader. We have been established since 1972 and are licensed to provide investment services by the MFSA. Our client's funds and assets are held separately at all times. Visit our website for more details. Access real time market data and visualise it with HTML5 charting. 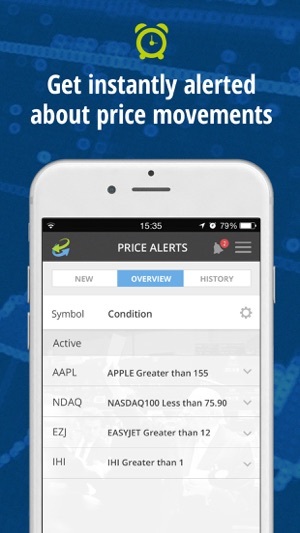 Create customised price alerts and receive live notifications. 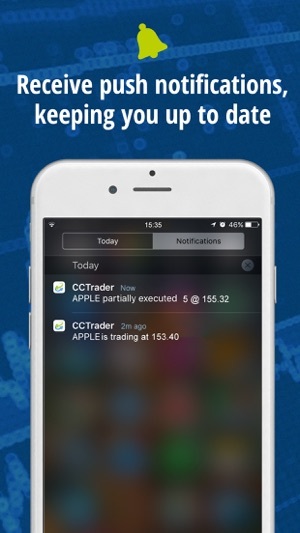 Using CCTrader you can invest in virtually any Bond, Share, ETF, Fund or Treasury Bill listed on any exchange in the world. 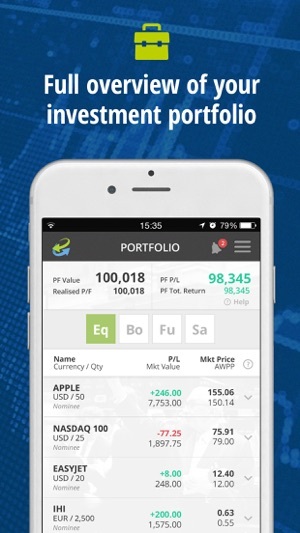 Manage all your investments from one platform. With easy to understand rates CCTrader provides a transparent cost experience. We do not mark up any of our execution prices or charge any other complex or hidden fees. You can find daily blogs and independent research on a vast range of instruments. We also provide research upon request. Creating an account is free (no deposit required) and only takes only a few minutes! Visit us at http://www.cctrader.com for more information or download now to get started. Calamatta Cuschieri & Co Ltd.
© 1972-2018 Calamatta Cuschieri Investment Services. All Rights Reserved.